With the unemployment rate holding steady at 9.7 percent and March 2010 only the third month of gains since the recession began nearly three years ago, holding on tight to that certification is a good career decision. 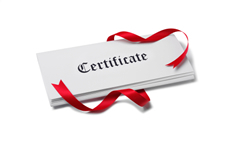 Certification showcases and validates your knowledge, skills, and abilities to potential employers and customers. Your credential substantiates that you are capable of effectively performing the job and tackling the tasks at hand. Earning your certification demonstrates your competence and highlights the knowledge you have acquired. Employers and clients will know that you have the skills to meet certain professional standards because you are certified. “Certification enhances our profession by setting standards, and it opens doors to career opportunities,” says Elizabeth Archer, CCP. Companies tend to look for those who proactively seek opportunities to continually develop and enhance their skills and expertise. “Holding a certification shows that we’re serious about maintaining our professional standing,” says Archer. Employers are always seeking people who never want to stop learning more about their profession. Certification establishes you as a continuous learner and a more valuable asset to your employer and customers. A certification marks you as an expert in the field and confers on you expert status. Job-related certification programs measure an individual’s job skills, knowledge, and ability to successfully perform in his or her chosen field. While some positions will require certification, not all do. Earning and maintaining certification will set you apart from those who don’t have them. You will be viewed by employers, potential employers, and clients as a dedicated professional — someone who really cares about the job. Holding a certification illustrates your dedication and commitment to the profession. Certification rounds out your continuing education experience and gives you exposure to concepts that may be outside of your day-to-day jobs. Having the ability to familiarize yourself with approaches outside your experience is a critical ingredient of leadership. “Those who have similar certifications are aware of how difficult they are to obtain,” says Bonni R. Shuttleworth, education liaison for the Illinois Court Reporters Association. Your credentials will help other reporters know what skills you have. “Other reporters feel confident in referring a job to me, knowing that I will be up to the task,” says Therese J. Casterline, RMR, CRR. Certification is not only a benchmark for those who are unfamiliar with court reporting, but it enhances the visibility and professionalism of the job. Showcasing nearly 10,000 individuals who have earned professional certification promotes not only those with the designation, but it lends credibility to the industry as well. “The CRR designation is recognized and respected in the court reporting field,” says Casterline. As the profession becomes more complex and specialized, the demand for those with industry-recognized credentials will continue to intensify. With an increased number of job applicants from which employers can select due to the competitive marketplace, companies look to those who can demonstrate their knowledge in specialized areas. Employers realize that a combination of formal training, work experience, and continuing education makes for top-notch employees — all characteristics and traits confirmed during the certification process. When companies are considering whom to hire to make the record, credentials show that you are in the profession for the long term. “There was a significant amount of competition for my job in federal court,” says Wiesman. “It shows you are a professional, care about your profession, are in tune with what’s going on, and are continuing to educate yourself,” according to Marsha S. Gerber, RPR. When you set a goal of earning certification, you put together a plan, work hard to attain the designation, successfully pass the examinations, and gain confidence through your accomplishment. This will spill over into all aspects of your life. “I like pushing myself and improving my skills,” says Jaye Saylor, RPR, RMR, CRR, CBC, CCP. “The ability to achieve further certification gives me the satisfaction of knowing that I have taken a step closer to my personal goals,” says Kimberly R. Greiner, RMR, CRR. Seeking higher certifications leads to upgraded skills and increased job responsibilities. All that studying and testing will improve your skills, and all that additional training to keep your certifications will prepare you to put those skills to use. You have mastered a new body of knowledge, and you can put it to use in your jobs. Pursuing additional certifications can also create a bridge into a new area you’d like to try. If you are interested in branching out into CART or captioning, consider the Certified CART Provider or Certified Broadcast Captioner tests as a way to learn more about these fields and to find a way to expand your services. “With electronic recording being explored in many courtrooms across the nation, I am working towards my realtime certification in order to perfect the skills that electronic recording can’t compete with, such as instant translation of testimony to the judge and attorneys,” says Tara France. According to the Robert Half 2008 Salary Guide, possessing an industry-recognized credential can raise a job candidate’s starting salary by as much as 10 percent. When certification requires the holder to take continuing education classes, this reflects that you’re staying current with trends in the industry. Dedication to continuing education establishes you as a continuous learner. Employers are always looking for people who never want to stop learning, and with technological changes, it is important to be able to learn new ways of doing things and to be willing to adapt. “Certification has opened doors for me that otherwise might have been closed,” says Greiner. After earning a higher or specialty certification, many reporters get a boost in confidence. If you have passed a higher-level speed test, you are less likely to be thrown by a fast speaker or technical terminology. Knowing that you have been tested at high speeds and passed has also let reporters feel confident when they must say, “You need to slow down.” When you know that you can get fast speakers, you will also know when people are getting out of hand. Even during the speedbuilding process leading up to test day, you will realize the benefits as your everyday writing on the job becomes more and more comfortable. “My firm encourages reporters to become certified for a variety of reasons, not the least of which is the resultant self-confidence needed to tackle the daily tough assignments that reporters encounter,” says Connor. So when you tell yourself that you cannot afford to attain certifications or to keep them through continuing education, my question to you is: How can you afford not to? Joyce Z. Casey, RDR, CRR, CBC, CCP, is a CART provider and reporter in Soddy Daisy, Tenn.